This is our new blinking/flashing SMD/LED unit. These SMDs are the smallest available self blinking/flashing units ever manufactured! 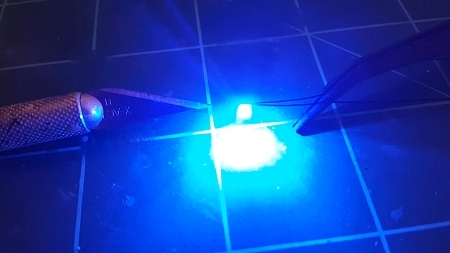 Perfect small blinking light for many model applications. This unit which flashes at 1.5HZ on average will light between 85 to 95 times per minute. Given that soldering SMDs is very difficult, these pre-wired units take all the work out of it! 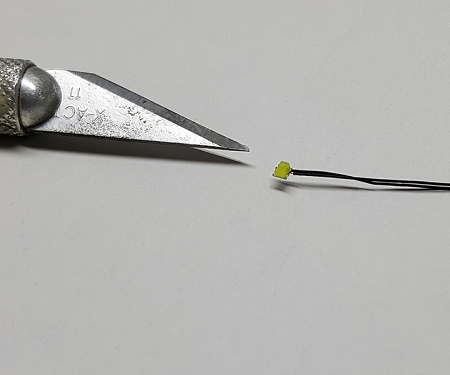 0606 SMD units are very small and difficult to solder! 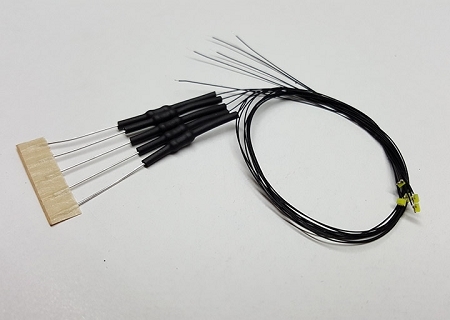 Each unit comes with pre-soldered micro litz wired leads attached to the unit with both leads laying flat and coming off the SMD in the same direction. Each unit comes with a soldered on resistor for 12v operation and wire leads about seven to eight inches long.